You have a job that you hate. No, “hate” is too soft a word – you despise it! If you have another job lined up, you’d quit today and not even bother to give notice. We’ve all been there. And with the increasing frequency of job changes these days, it’s more likely than ever that you will have such a job – sooner or later. Is there a constructive way to deal with a job that you hate? Absolutely – and here are some recommendations. Plan An Exit Strategy – Now! On the surface, each of these responses sound noble, or at least beneficial. But each probably also misses the mark! 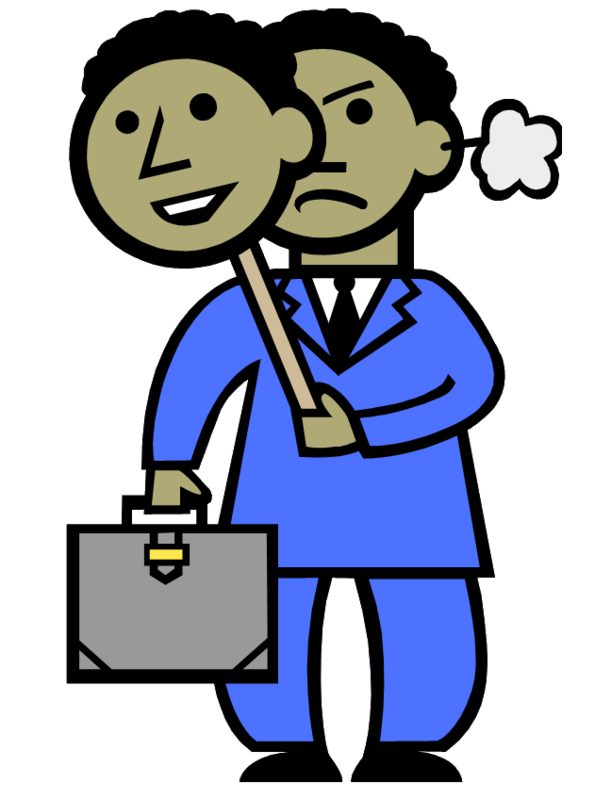 Your boss or other significant co-worker(s) may not like you – and they’re not trying to hide it. You’re doing work that doesn’t fit your personality and talents. The company is going nowhere. The company is very dysfunctional (no matter how long you “wait it out”, it will never get better). The job may not be a good fit. You’re not particularly good at the job you have. You could be doing better somewhere else – and deep down you know it. If any of these reasons – and it’s usually a combination of several – play a part in the fact that you hate your job, staying there won’t improve the situation. Do some deep meditation in regard to your job, and make sure that you can articulate the reasons why you hate it. Those reasons are probably totally legitimate. And that means it’s time to plan an exit strategy from your job. It will enable you to quit your job – at least eventually. It will give you a purpose, given that your job probably doesn’t. It will create a positive focus, to help offset the negative energy flowing from your job. An exit strategy may not give you a chance to quit your job tomorrow. But it will point you in the right direction, and give you something to hope for. If you don’t, you may develop a bad attitude that could carry over to the next job. You want to do all you can to get a good reference from your current job. At a minimum, you want your coworkers to think positively about you – you never know if you might be working with some of them in the future. You need to keep your skills up – the best way to do this is by applying them conscientiously each day. Your work is a reflection about who you are – make sure that your work continues to reflect the person you want others to see. Our work is one of our best faith witnesses to the rest of the world. Do your best work until the day you walk out the door – everything will go better with you later if you do. If you really hate your job enough, you should be prepared to take a step down in either pay or position, or both. A very good friend of mine used to say from time to time, “Sometimes you have to take a step back to go forward.” Most of us want to believe that we can continue going forward no matter what the obstacles are. But sometimes you have to step around obstacles if you can’t go through them. This is usually the case with a bad job. You may have to work for less elsewhere in order to get out of that job. No matter how much you want to avoid taking a step back, it may be the cleanest, easiest way to get out of the situation you’re in now. If you hold out for a better paying and higher position, you run the risk of self-destructing on your current job. Never assume that your boss and coworkers don’t know that you hate your job. Very few of us are so poker-faced that we could pull that off. Sooner or later, you could end up getting fired – and then you’ll have no job. Also, taking a notch down on a new job could be a necessary step in order for you to gain new skills that will help you to go forward. It may also help to get yourself in a situation that you feel better about your work. The better you feel about the work you’re doing, the more progress you can make. Even if you are planning to leave your job, be at peace with everyone in your workplace. And once you leave, keep any negative opinions about the company and its employees to yourself. If you really hate your job, this can be especially difficult to do. But you need to resist the urge. Jobs today are something of a revolving door. It’s no longer something that you “own” – but rather an experience that should last only as long as it’s necessary. And when it’s time to move on, we should do it with the grace and humility befitting followers of Jesus Christ. Even with the improving job market, asking for a raise can be a scary event. Many companies don’t want to give them at all, and it always seems as if there is a long line of candidates willing to work for even less money than you’re being paid. Despite those concerns, there are times when you need to ask for a raise. After all, if you don’t, then it may never happen. And the days of automatic annual increases is largely gone. Before you even ask for a raise, you first need to know where you stand on the compensation ladder. You can easily do this by checking out the pay range for your job based on information available at the Bureau of Labor Statistics website. It not only lists pay ranges for your job, but also takes geographic location into account. If you find that you are at the top of your pay scale – or even above it – tread lightly. Unless you are extremely valuable to your employer, you may find that bringing up the salary issue works against you. Your employer is probably aware of where you stand in the pay range for your job. If they have no intention of increasing your pay, they may take advantage of the opportunity to gently remind you of your over-paid status – ouch! Beyond compensation ranges, never ignore trends within your industry. If your industry is growing, and jobs are plentiful, there will be a lot more negotiating room with a pay increase. If the industry is growing slowly, or not at all, your ability to get a raise will be directly related to your specific contributions to the company. It should go without saying that if your industry is in decline, and jobs are disappearing, it may not even be worth asking for a raise. The state of your industry, or of your particular job classification, is probably the best indication of your ability to get a raise. Unless you are a recognized superstar in your company, you have to be your own best cheerleader when it comes to asking for a raise. That doesn’t mean you go running around the place taking every opportunity to chant yeah, rah, me!, but you will need to build a case for why you deserve a raise. Put together a file that represents a collection of your best accomplishments on the job. This can include letters or emails of commendation, proposals that you made that were put into action, positive previous job reviews, and any records that document your production or increase in productivity. To prepare you to blow your own horn. Before asking for a raise, you should spend some time rehearsing the reasons why you deserve one. This will be much easier to do if you have assembled tangible evidence that answers the question. By having all of the information available in one place, it will be much easier to convince yourself that you deserve a raise – and that will make it easier to convince your boss. To be ready to document your accomplishments to your company. It’s always a good idea you have documents to prove your worth to your employer in the event that you meet with any resistance in your request for a raise. While your boss and your company probably know somewhere – usually in the back of their minds – what you have done for them, it always helps to have a thick file to show them just in case their minds go fuzzy when you’re ask for a raise. To be certain that you have accomplishments. That sounds a bit tongue-in-cheek, but it’s a valid consideration. If you can’t document your accomplishments, your boss probably can’t either. And if you can’t, asking for a raise may be a waste time. But it is better to know this before going to your boss. If nothing else, this should serve as a wake-up call for you to begin increasing your productivity, so that you will have some ammunition to ask for a raise in the future. This is an exercise that is not as easy as it sounds on the surface. Whenever we ask for something for ourselves, there is more than a little bit of emotion attached to it. Since salary is an objective measure of our worth, the potential of being rejected for an increase is hard not to take personally. But that is exactly what you need to do. When you approach your superiors about a raise, you have to handle it like a business negotiation – which is exactly what it is. This is also a major reason why you should prepare a thick file packed with documents that prove your worth. If you can prove why you deserve a raise with objective evidence, you can present this evidence as you would any other business proposal. If your employer rejects your request – despite the evidence – then you’ll know where you stand. At that point, your focus may shift from getting a raise at your present employer, to finding a job with a new one. Have you used any of the above strategies in asking for a raise? Have you ever applied for a job that you were absolutely sure was a perfect fit for you? You met all the qualifications, and the interview went beautifully, but…you didn’t get the job. How does that happen? Why does that happen? There may be a flood of applicants for the job (which is very typical these days). As qualified as you are for the job, there may be another applicant who has even better qualifications (or an inside reference). You may lack an important skill, or be not as strong in a skill as the employer wants. There may be a bad reference in your past. The interview may not have gone quite as well as you believe it did, at least not from the employer’s perspective. There may not be an actual job – the employer may just be on a fishing expedition for reasons you’ll never understand. The job may have been eliminated before filling it. As you can see, there are a lot of reasons why you won’t get a particular job. Your one consolation is that it happens to all of us, and usually more than once. There’s no point being angry or bitter of the job that got away, but you can find ways to use the situation to your advantage. Even if the application and interview process went well, employers will often terminate your candidacy either through a form letter (that gives no concrete information), or they will ignore you completely in the hope you’ll “get the message”. But if you do get the word from a live person, you should get as much information as you can. This will be considerably easier if your application and interview was arranged by an employment search firm. Though the employer may not speak to you, they will usually give information to an employment agent. Though it may hurt to find out why you didn’t get the job, this information can be critical in preparing you for the next prospective employer. If you are turned down because there was a stronger candidate, or because the position has been eliminated before filling it, it may be unfortunate, but it will not reflect on anything personal about you. If on the other hand, the employer felt that there was a weakness in your skill set, or didn’t feel as well about the interview as you did, these are things you need to know so that you can make improvements in the future. But most important – something you absolutely need to know – is if you received a bad reference. Out of fear of lawsuits, most employers will not give references whether positive or negative. But there are some who do, if only in an indirect way. Even more important, you may find that a reference that you gave has less than positive things to say about you. If you find that out, you want to drop that person from your reference list going forward. It may be that you came very close to actually landing the job, but failed to get it because you’re weak in a certain critical area. For this reason, you want to get constructive criticism that will help you to learn where you are weak so that you can make improvements in future job applications. If the person who interviewed you does make contact with you, either by phone, by email, or by written mail, you should seize the opportunity to ask that interviewer for other job leads. Just the fact that the interviewer took time to contact you to let you know that you are no longer in the running means that you are viewed as a credible candidate. Take advantage of that status – and also the opportunity to play on the interviewer’s sympathies – to ask the interviewer if they know of any competing companies who are looking to fill a similar position where you might be a good fit. If the interview went particularly well and you built a rapport with the interviewer, you might even ask if they would give you a referral. You may not get it, but it never hurts to ask. If you have ever worked in a sales related job, you are well aware that you have to approach many prospects before you actually make a sale. The same is true when it comes to finding a job. You are being a salesman, and the product you are selling is you. It is the reality of sales that you will not be able make a deal with all prospects, or even most of them. 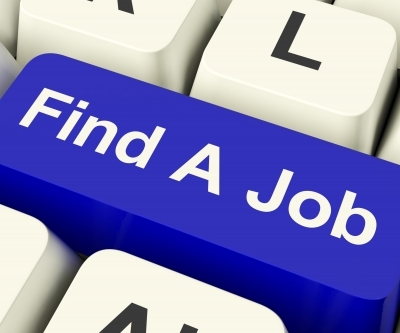 For this reason, you should enter the job hunting process fully prepared for rejection. You will have to be prepared to accept many rejections on the path toward landing a job, but no matter what, you can’t let it get you down. Upon learning of a rejection, you need to immediately spring into action to land more interviews. Getting down about the rejection, or worse – feeling sorry for yourself – will accomplish absolutely nothing productive. When looking for a job – as in sales – you should have “several coals in the fire” at all times. That means that you are working on more than one potential job at any given point. More important, you should never view any single job as a make-or-break situation for you. Sure, you may need a job, but you don’t need any particular job. The right one will come sooner or later. What do you do when you learn that you didn’t get a job you hoped you would? Most of us are very interested in how to get a job, but since that doesn’t always work in a tough job market, it might be helpful to take a look at the situation from the back side. As in how not to get a job. Sometimes the best way to get a job is to identify the factors that are hurting your effort, and then do your best to reverse the situation. What are some of the ways that you can sabotage your efforts get a job? It can be tedious, but it’s extremely important that both your resume and your cover letter match the position you are applying for. In every job posting, there are certain specific skills, credentials and experience requirements that are critical to the job. If your resume and cover letter don’t address those requirements, your application will be passed over. An application that does not fit the job description is worse than sending no application at all. It’s not just that you will not get the position, but that you will have taken yourself out of the running for a position that you may in fact have been qualified for had you done a better job of matching your qualification with the required skills. Carefully study any job ads or postings, and do your best to identify the most important qualifications the employer is looking for. Then do your best to match your resume and cover letter to those qualifications. If you have the qualifications, the job may be a good fit and you could very well be a candidate in contention. If you don’t have the qualifications required, it’s probably best that you don’t even apply. Which brings us into another dilemma for job applicants. There sometimes the thought that you can use the “shotgun approach” to applying for jobs. You might think that if you apply for a thousand jobs that surely someone will hire you. Unfortunately, the qualifications required for most jobs today are so specific that a mass application effort will probably be a massive waste time. If you’re not qualified for a job, there’s no point even applying for it. In more robust job markets, employers will often hire someone who is at least partially qualified. But in the market we’re in today, there’s no shortage of skilled employee prospects, and you’ll have virtually zero chance of landing a job you are not qualified for. Save your time and energy for more productive activities. There is sometimes a tendency to believe that resumes, cover letters and job applications are little more than a formality. But that’s only true if you have a strong reference from an influential person within the company. In virtually all other situations, your candidacy for any job will rest entirely upon the information that you present. Your resume, cover letter and job application should not only be complete, but they should also be as neat as possible. They’re hiring a whole person, not a collection of skills and qualifications. They want to know that you are organized and that you can communicate intelligently. Your application documents will either confirm or deny that. Be very careful in preparing your resume and cover letter, and make sure that you have a knowledgeable third-party review it for you. No matter how may times you review it yourself, you could still have glaring mistakes that someone else will pick up. For job applications (especially on site), it may help to have a detailed list of information that includes your education, employment history, references and specific skills. Take this information from your list and transfer it to the job application. Never rely on your own memory. Many job applicants have very strong resumes and convincing cover letters, but they fall short during the interview process. Often this is not because of a lack of credentials and qualifications, but because of poor interview skills. You should be fully prepared to provide intelligent answers to questions that you would reasonably expect to face at a job interview. In addition, it’s important that you have a list of relevant questions that will further demonstrate your understanding of the job and your ability to get the job done. Resumes and cover letters are written lists of your abilities. Interview skills are way of demonstrating those abilities. Invest some time in improving your interview skills with a strong emphasis on being able explain why you are the right person for the job. People who are looking for the perfect spouse often end up…single. People who look for the perfect job often end up…stuck in a crappy job or unemployed! There are no perfect jobs out there, but you can waste an awful lot of time looking for one. In the process you may turn down a number of perfectly good jobs. A less than perfect job may not be exactly what you are looking for, but it could be the very steppingstone to the perfect job that comes later. You should hope that the next employer you work for doesn’t have perfectionist tendencies. At the same time, you need to keep your own tendencies toward perfection in check. 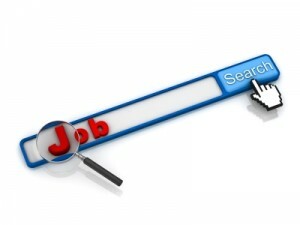 Unless you have the perfect job right now, finding one that is can be an endless search. And if you do have the perfect job already…just stay where you are. 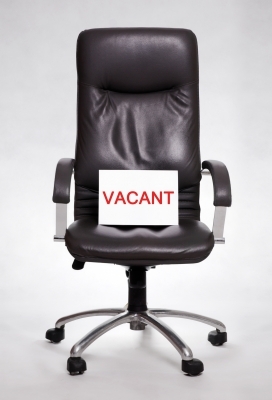 Would you make a voluntary career change? I’m talking about a career change driven by personal choice, not one forced upon you by a job loss. What might cause you to consider making a career change, given that jobs are already hard to find? Common Reasons To Make A Career Change? You’ve probably known people who seem to be in perpetual crisis; well guess what? Some organizations are the same way. Much is made of synergy when it comes to organizations, but seldom discussed is bad synergy! It’s very real! If the top two or three people in a company or department are negative, suspicious, hostile or downright incompetent, those attitudes will filter throughout the ranks. Every day you come into work with the feeling you’re fighting something but you can’t put your finger on exactly what it is—let me suggest it might very well be that negative synergy. You can’t fight it; it will be there in spite of your best efforts, and it will still be there long after you’ve moved on. I had the displeasure to work for such a company in my first job out of college. Going to work was an emotional wrestling match every day. When I got there, it was even worse. Seldom did I have anything remotely resembling a good day at work. There were some good people in there, but they were snowed under by bad management and that portion of the rank and file who seemed to be able to play the game only too well. I ended up leaving and never looked back. What I didn’t know at the time was that this small, privately held company was on the verge of bankruptcy! Sometimes it really isn’t you–it’s the company! And staying can drag you down with them. Sometimes entire industries get into big trouble. Being a refugee from the mortgage business (left in 2008) I know this only too well. I could have stayed in the business and worked in some capacity, after all I had been in it for years and knew a lot of people in the business. But an industry’s problems are usually too big for one person to work through. When that happens, you have to come face-to-face with the stay or go question, and do some serious soul searching. Will you be better off to continue to make a go in an industry you know, or will you be better off trying your hand at something new? As we’ve seen from the mortgage business, industry troubles can take years to work out, and you have to ask if “staying the course” is really in your best interests. That answer will be different for everyone. Sometimes technology dooms an entire industry, but at the same time it also creates parallel opportunities. The print media and the internet are an example. The print media has been struggling to survive and to find relevancy ever since the start of the Internet Age. So far, it seems to be losing the battle—virtually every projection shows it to be continuing to lose ground. But at the same time, new opportunities are arising on the internet, and while making the shift from print to the web may be difficult it’s hardly impossible. The situation was similar for radio when TV became popular in the 1950s. Many of the stars of 1950s TV series were former radio personalities who had successfully made the jump. They decided to make the change into the new industry rather than to ride the old one down—technology changed the game forever. Career shifts due to technology have been going on for a long time, so it’s something we should recognize and be prepared for. Sometimes you just know that you’re in the wrong place, doing the wrong job. It could be that the career you have just isn’t cutting it—emotionally, intellectually, spiritually, physically or financially. Other times, it’s a sense that you could (or should) be doing something else. What ever it is, you owe it to yourself to investigate what the little voice inside is telling you. I realize that this is hard to describe, but over the years I’ve learned that when the “little voice inside”—also referred to as “your gut” (as in “going with your gut”)—is telling me something on a consistent basis, I need to pay attention. The little voice inside could be the Holy Spirit (the “still, small voice” referred to in 1 Kings 19:12?) working in us, or it could be the blending of emotional and spiritual forces in us that the mind doesn’t quite understand. Living in a world driven by reason and rationality, such inner disturbances are supposed to be suppressed, but I think that when we do, we do so at our own peril. Feel free to disagree but that’s been my own experience! Not everyone agrees with the idea of following your passion to your chosen life’s work, and if you don’t please humor me for a bit. We live in a world where job security is rapidly deteriorating, and as it does the idea of working for a paycheck alone isn’t as solid an idea as it once was. It may be more important than ever to work in a career that you truly feel passionate about. If you do, there’s a better chance that you’ll excel at your work, and become even more successful than ever. And even if you aren’t a success as the world defines it, you may be happier than you’ve ever been. Should you leave a well paying career to follow your passion? That’s something only you can decide, but it’s worth thinking about. One of the advantages of deciding to make a career change is that you can engineer the entire transition. You aren’t leaving because of a layoff or a firing (though either may be a definite possibility in the future) and because of this you can maintain some control over the process. Many people make career changes only after a job loss, which only seems to be a natural break in the career cycle. But a job loss can create financial need and a sense of panic, neither of which are conducive to a smooth career transition. Better to do it before the ax falls on your job, that way you’re still in control. What ever the reason driving you to make a career change, it’s always best accomplished while you still have a job that way—at a minimum—you can take care of any preliminary career change requirements while you’re still getting paid. What would drive you to make a career change, and how might you prepare for it?